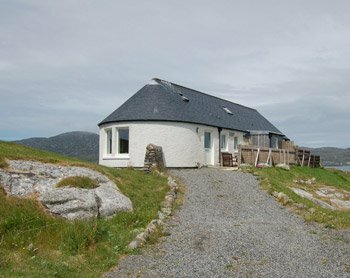 Taigh Sanna is on the the Island of Vatersay. 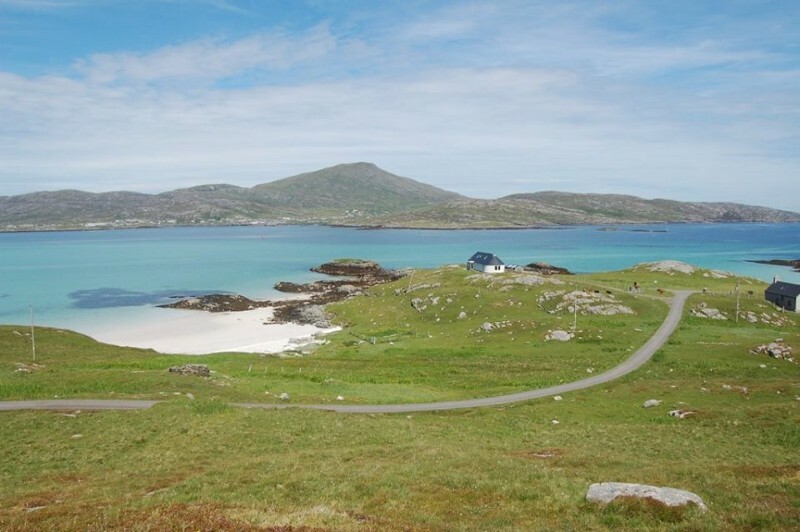 Vatersay is linked by causeway to the Isle of Barra The house stands in a small hill with white sand beaches on either side. Accommodation It looks across the bay to Ciosmul Castle. The house has rounded ends, mirroring the design of the traditional black house. The self catering accommodation forms half of the building. 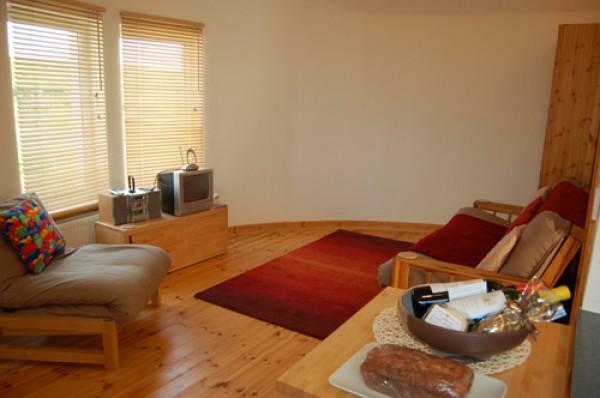 The house is 4 miles from the ferry terminal, shops, hotels and amenities of Castlebay. 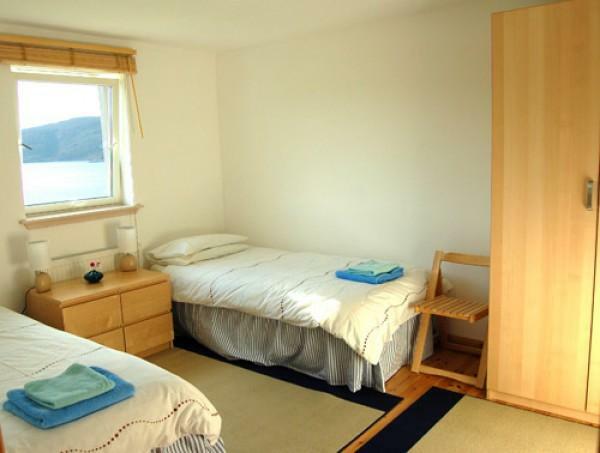 It is 12 miles from Traigh Mhor, our beach airport.